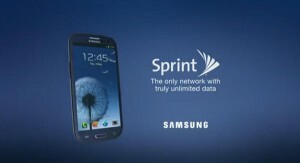 After much anticipation for Samsung’s reported simultaneous release across all major carriers, the Samsung Galaxy S3 is available in Sprint stores today, after a June 21st launch. There’s still no word on when you can buy the phone for AT&T, Verizon, T-Mobile, or US Cellular. Samsung fans are waiting impatiently to get their hands on the Korean company’s greatly hyped Galaxy S3, following the success of the Galaxy S2. After some delays caused by inventory problems due to extremely high demand, you can finally buy the Galaxy S3 in Sprint stores today. However only the 16GB model is available, and the 32GB is unavailable indefinitely. 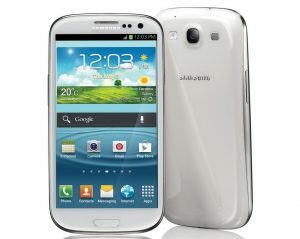 If you’re looking for one size up the 32GB Galaxy S3 is only available online via the Sprint store as of right now. AT&T had previously announced a store availability date of June 28th for the Samsung Galaxy S3, but had to push it back, again, due to overwhelming demand. Shipping has now begun and AT&T hopes to have their orders fulfilled within 10 business days. Phone users who buy the Galaxy S3 can expect an update to Android Jelly Bean in the 4th Quarter. Many had hoped and speculated that the Galaxy S3 would pose some serious competition for Apple’s iPhone 5. But the closer together the release dates become due to delays, the more it may be worth to just hold out and see what features the iPhone 5 has in store.